I love to create my own recipes. Since I’m a novice baker, I’m trying only other’s recipes for now. I just try to tweak it here and there. So for the time being my experiments are limited to Indian cooking only. That’s how I put together this recipe. May be some of you know this one already, but I’m very happy because, I tried it for the first time and it was very tasty. I asked my husband to get 1 zucchini to try the oven baked zucchini fries, but he bought 4 instead. Anyway it worked out good because I was able to come up with 3 new recipes. They are zucchini pappu, chocolate chip zucchini bread and zucchini soup. I’ll be posting the other 2 very soon. I wanted to post the zucchini bread first, but when I mentioned about the zucchini recipes to my friend Laksh of Lakshmusings, she told that she would try zucchini pappu. So I thought I should post that one first. 1. In a sauce pan add the oil and after it heats add the rest of the tempering ingredients. 2. Once the dals turn golden brown add the grated zucchini, slit green chilly, tomato puree/tomato pieces and sambar powder,little water and close the lid. Zucchini itself has water content in it, so just add little water to make sure that the zucchini does not stick to the bottom of the vessel while cooking. 3. Once the zucchini is done add the cooked toor dal and let it boil for another 2-3 minutes. 4. Garnish it with cilantro. I have tried the exact same recipe with ridge gourd and bottle gourd too. They also taste very good. 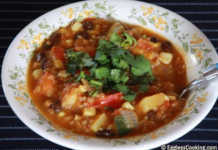 You may also add a teaspoon of tamarind extract with the zucchini, if you like it sour. Nowadays I use crushed tomatoes a lot in my cooking. It’s very economical when you compare it with the price of fresh tomatoes and also saves you time in the kitchen. Once you open the can pour the contents into another jar/plastic box and store it in the refrigerator. One 32 ounce can lasts for 2 weeks for me and it’s only 79 cents, when a pound of fresh tomatoes is anywhere between $1.50 to $2.00 and they also rotten quickly. Moreover I came across one more fact that cooked and canned tomatoes have more lycopene than the fresh ones. Anyway I’m not telling “don’t buy fresh tomatoes”, it’s just my observation. I thought I can share it with everybody here. Moreover my husband does not like too much of tomatoes in his diet, so this works for me. His favorite dish with tomatoes is Tomato Rice, I use crushed tomatoes in that too. The problem with canned foods is can lining has BPA, which is an endocrine disruptor. Non BPA cans are expensive. That’s true Raj. I have stopped using canned food products. Lovely Recipe…I tried it today and my hubby and myself loved it ….Creative recipe and a nice blog…Best Wishes. Hey thanks for leaving such nice comments madhuram, i loved this dal very much, should try it once.. 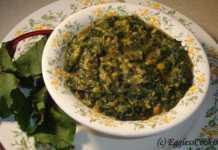 Being a vegetarian, i always search recipes in ur website. 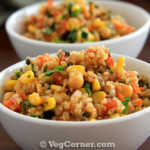 U have got a huge and good collection of vegetarian recipes. 2. On stove top in a saucepan add tamarind extract, diced tomatoes, water, rasam powder, turmeric powder, hing and salt. This has to be boiled nicely. 3. To this add the cooked toor dal and boil it for another 3-5 minutes. 4. Temper little mustard seeds, cumin and curry leaves and add it to the rasam and garnish with cilantro. So in most of the south indian families they would have a big cooker, so that they can cook rice, dal and vegetables in 3 seperate vessels in that cooker itself at one go. 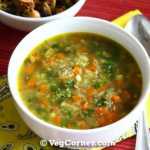 Actually what I do is I follow my mother�s easy version of making rasam. She will add tamarind extract, tomatoes, 2-3 tablespoons of toor dal, and other things I have mentioned above in one utensil and will pressure cook it along with the rice. So both rasam and rice will be ready at once. So instead of adding diced tomatoes I add 3-4 tablespoons of the crushed tomatoes and prepare the rasam and leave the cooker for 3 whistles. Hope this helps. Do get back to me if you have any further questions. Yes Dee, I did miss your comments for the past couple of days. Glad that you are back. I’ll check yours too. 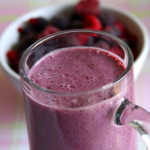 Anila thanks for trying the recipe. Hope you liked it. Laksh did mention about your zucchini experience. Sorry about it. In my case the zucchinis were not crunchy after baking it for 15 minutes, so I was increasing the time 2-3 minutes and kept checking on it and finally got the desired crunch around 23 minutes. Either I would have dipped my zucchinis in too much yogurt and bread crumbs so it has taken such a long time to cook or you have coated it very little and it got burnt I guess. I’m sure that it would work fine in a toaster oven too. Regarding the temperature, I think we have to find out this by trial and error method only, since I’m also a novice baker. Hope this helps. Thanks DK, try it and let me know how it came out. I’m still searching for a good mexican recipe to participate in your event. I made it today. It came out quite well. Thanks for sharing the recipe. I want to ask you something about the baked zucchinis.I tried it but it got burnt.After i preheat the oven to 425 degree,should it be turned off.isn’t 425 a high temp.won’t 350 be enough.is it required to bake the zucchinis for 20 minutes.Also can i use a toaster oven for the same. 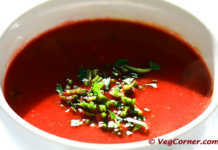 I thought that for tomato rasam you need to pressure cook the tomatoes along with tamarind, etc. So if using crushed tomatoes then what do you do? Do you still pressure cook them? Sorry for asking a silly question. This seems to be a v good idea 🙂 will sure give it a try! Thank you very much Arundathi, Kamala, Cham, Laksh, Roma, Uma, Divya, Kaykat and Rajitha. SS and Anjali, I was also using only fresh tomatoes earlier. Once I saw an episode in Food TV, where the host Ellie Krieger in Healthy Appetite was mentioning that canned tomatoes have more lycopene then fresh ones. So I started using canned ones in soups and stews. The minenstrone soup tasted so good using canned diced tomatoes, so I started experimenting canned tomato puree, paste etc in other dishes too. SS you have to try crushed tomatoes for Rasam, the taste is so good. I have tried a couple of brands and all taste the same, so I go with the cheapest one. But when my husband shops he gets only the famous brand, this time he got Hunters. Earlier I used to buy 2-3 bags of tomatoes in Produce Junction, now it’s just only one bag. For some strange reason, I have not used canned tomatoes much till now. Your argument abt price and lycopene makes a lot of sense. I should try the canned ones. 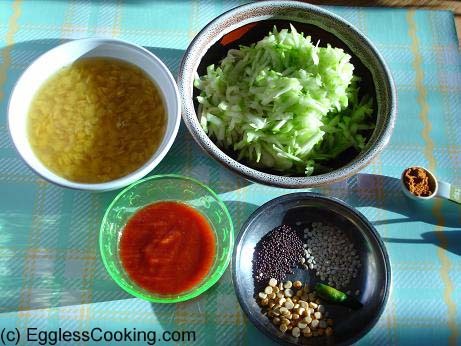 the dal looks delicious…like the fact you are grating the zucchini rather cutting them in cubes..as they do get too watery! Grated zucchini is so awesome – we often make baked fritters with it. 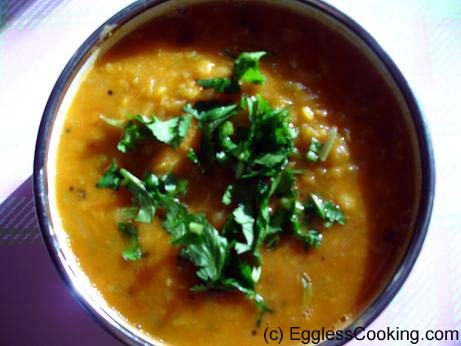 Zucchini Dhal -neat. I do the same with Bottle gourd.I have a mind block to use anything other than fresh tomatoes, infact shop for them twice a week ! What brand are these crushed tomatoes ? I use some roma tinned ones for pasta sauce and also tomato paste from Hunter’s rarely. By grating the veg, everyone can eat the veg with dhal 😉 Great way to feed veg my kid! Thank you!!! Looks very appetizing. 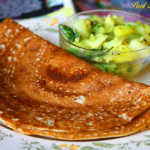 Will be trying this tonite with ridge gourd since I have that at home. I dont get Zucchini here but I will surely try with the bottle gourd I have at home. I make the fries a lot but this is a great idea! thanks!